"Looks Perfect. Just what I wanted!" "I had to designs created by KK for a memory quilt I am making for a customer. Both designs stitched out beautifully!! Thank you so very much for your awesome work!" Machine Embroidery or Quilting Designs, it's here. "You are an artist! So glad I found you!" "....loved the butterflies with variegated thread!" Send us your information and we'll digitize a design to your specifications. 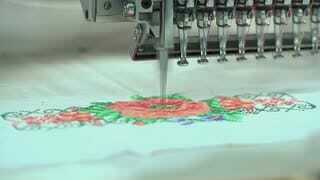 Download ready machine embroidery designs and applique for sale in popular machine formats. Download quilting designs in popular machine formats for your next beatiful creation.